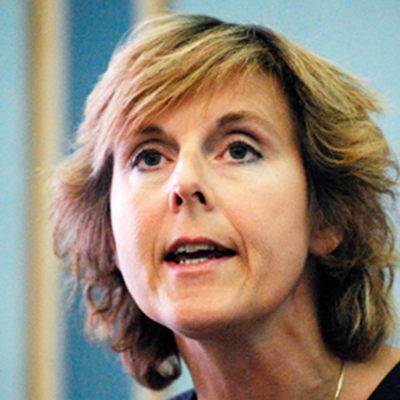 Last week, we liveblogged the European Commission’s “Dialogue on Climate Change” – a townhall-style public meeting in Milan, Italy, with the Commissioner for Climate Action, Connie Hedegaard. The EU has long seen itself as a global leader when it comes to tackling climate change. Member States have committed themselves to the “20-20-20” targets: cutting greenhouse gas emissions to 20% below 1990 levels; improving energy efficiency in the EU by 20%; raising the share of EU energy consumption produced by renewables by 20% – all by the year 2020. The EU was also a key player in the development of the 1992 UN Framework Convention on Climate Change (UNFCCC), a non-binding international treaty that seeks to “stabilize” greenhouse gas emissions. Furthermore, Europe was at the forefront of the push for binding emissions targets, later added to the UNFCCC in 1997 as the so-called “Kyoto Protocol”. However, it often feels like the EU is a global leader without followers. The United States refused to ratify the Kyoto Protocol, and Canada became the first country to formally withdraw in 2011. Furthermore, few countries apart from EU member states have actually signed up to the binding Kyoto targets, and those that have (including Belarus, Kazakhstan and Ukraine) have threatened to follow Canada’s example and withdraw before their targets actually come into force. More recently, prices in the EU’s flagship Emission Trading Scheme (ETS) collapsed when the European Parliament unexpectedly voted against reducing the total number of carbon allowances in an effort to tackle over-supply. We cannot first solve the economic crisis, then solve the job crisis, then, finally, when we don’t have anything else to do, come back to the climate crisis… If we do not invest in [climate] mitigation and adaptation, then the costs will only mount. Economic costs, but also human costs… It is not a luxury to address climate change. It’s not something you only address in the ‘good times’. At the moment, there are something like twelve-hundred new coal-fire power stations in the pipeline around the world, including 25 in Germany. So, if we think that we need to reduce CO2 globally, I’m afraid we just have to accept that we’ve failed, it won’t happen. More fossil fuels are being discovered, we’re finding shale gas, the Japanese are finding methane from the seabed, and the Americans are fracking vast quantities of gas. We are going to be increasing global atmospheric CO2 whatever we do. We can crucify our economies in Europe and in Britain on the alter of climate change in the hopes of making a difference but, in fact, the emissions are going up so fast in China, in India, and around the world, that we won’t make any difference. What do YOU think? 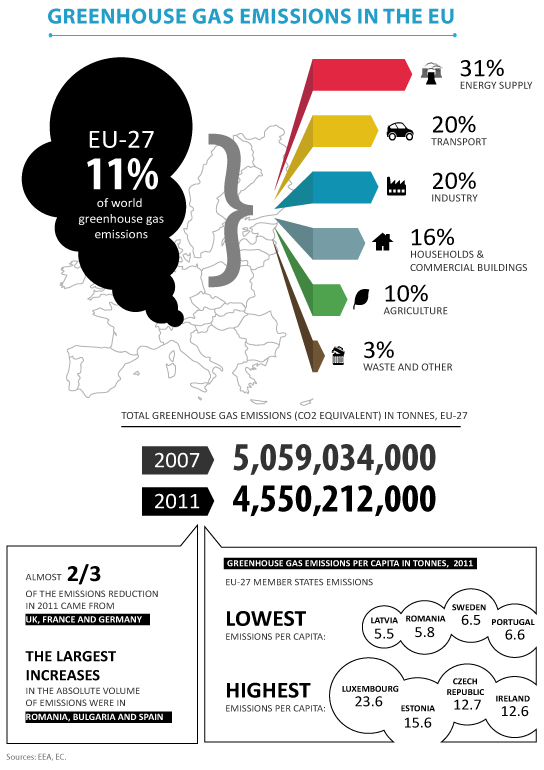 Can the EU help to prevent or reduce climate change? Or is it a global leader without followers? Even if European countries reduce their carbon emissions, will it make a difference if emissions from the rest of the world continue to grow? Let us know your thoughts and comments in the form below, and we’ll take them to policy-makers and experts for their reactions. What is the rush? It is not like the climate is gone wild and we do not have any control over anything any more? Right? Lets talk about dinosaurs! Maybe we can find the way to save them! Control the Gulf Stream, problem solved but I reckon this debate will go on and on … and will be a revenue collection exercise. TAX. My vote and my participation is worth much less than 11% still I do my part. Sooner or latter this will become an urgent matter, look at the floods and heat waves that have been happening all over the world. Make it work and others will follow. It is a technical fact that we can’t go 100% renewable, still much more can be done. People need to be informed about exiting technologies in a factual way. For example if a massive amount of people would change to electric cars, smart grids could be implemented to store energy from renewable. Make them understand that for example than driving to work is a much more dangerous situation than a nuclear plant, and a fast food restaurant has a much higher probability to give health diseases to someone that a N plant (I should learn some equation to back this up). But somehow this risks are acceptable. I’m not saying I have the solutions, just that, unfortunately, discussions with the public go to a very low level of detail. I believe this is the key point for change. What about demanding to imported goods the same standards demanded in Europe? More talking, more comitees, a lot of slogans and empty rhetoric, bla bla bla…nothing done on the ground. And nothing will be done on the ground. Why? Because our very society and economic system MUST disregard human health to generate PROFITS and be “competitive”. Until we realize that human life > profits, NOTHING will change. Eric David Bosne, well it is more important to sell banking “products” all over the world, right. It is much higher profit on that, than investing in new grid or electric cars? 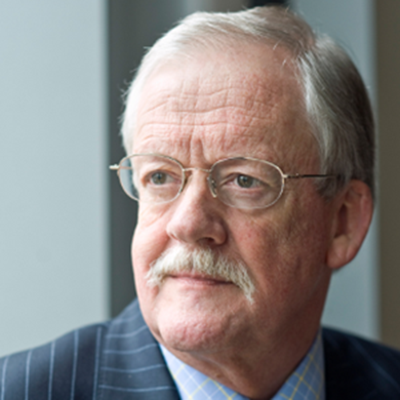 Roger Helmer ,a representative of a xenophobic racist “party” ( they are caught almost EVERY week with some members of their spewing racist garbage through the internet or other media ), a party who denies evolution or gay rights, a party who claims they want to send women “back to the kitchen”. THIS GUY is telling us “we are finding more oil and gas”. Not sure what planet is Roger living on, but on Earth we aren’t finding anything remotely enough to sustain our consumption now, or the consumption we are PREDICTED to have in the future. And even if he is right, eventually…eventually that oil will run out too. It takes MILLIONS of year to create oil, and minutes to burn it up. Going green now will save us a LOT of trouble for the next generations if not for us in our own lifetime. And Britain keeps gobbling up Rupert Murdock’s corporatist propaganda that the Daily mail, telegraph and the Sun keep pumping out INCESSANTLY ( the Daily mail is a “EU bashing machine lately” ) then they can go to hell for all i care and be the 51st state of the USA, another failed country full of ignorant brainwashed rednecks for whom green energy is for “eco-geeks” and “hippies”. tax them all! hide taxes behind every ideal. let the people pay for expensive energy … i love seeing them biking their life…. i love the view from my jet..
Oil and gas industry generates enormous profits and have strong lobby in most countries. They have big influence on many politicians and their decisions. This is the primary reason why the transition to renewable energy is slow. The other reason is economy – renewable energy costs more than conventional. If there is political will to engage leading scientists, labs and universities to improve the efficiency of the solar panels and wind turbines, and find ways to make them lighter and cheaper to produce, one day these sources will be virtually everywhere. Why not find new clean energy sources? Let’s help all EU countries produce solar panels locally instead of importing them from China. @Γρηγοράκης Σ: that’s some pretty poor ‘wisdom” as there isn’t enough oil for everyone. And even if it is NOW, there won’t be for long AND it is harmful to the environment. Can the EU prevent climate change ? No it can not ,its a bit like asking can cats cure chicken pox , there is no connection . They will pretend of course that they can , make statements that give them the high ground on green issues ,tax us to death and hold another meeting . I am wondering, how do you ‘tackle’ a natural phenomenon? What caused the coming and going of the previous ice age? Ice bears in SUV’s? I think not. Why would anyone think that mankind can overrule nature? I’d wager those are the same people who believe that economies can grow forever. In this sort of thing, always follow the money. The socalled ‘greenie’ solutions always seem to involve us paying massive new taxes so they can award themselves a big income to ‘consult’ for these kind of organizations. Certainly, the EU could to prevent ad reduce climate change, but not alone. Unfortunately, the environmental issue “tragically” depends by the trade policies of the major world economic powers that do not want restrictions of any kind. This problem is difficult to solve because although we know solutions to the problem of global warming and climate change, it’s predominant the reason for the profit and money on sustainability and environmental stewardship and EU is “afraid” of strong economic repercussions if it took strong positions against the U.S., China ec. The only possibility is to invest in culture and critical awareness of new generations. Only by internal movements will be possible to find a solution to this problem. Hoping it is not too late! @Marcel what is so “natural” about polluting big business? Are you one of those insane climate change deniers? They are split into two kinds :crooks paid off by the industry to LIE and ignorant brainwashed by their propaganda. So which one are you, Marcel? Racist / xenophobic – not sure yet but i suspect you are one too. The E.U are up against very strong lobbying groups representing the oil, gas and shale industries whom they simply can’t say “no” too. Whether you believe in man-made climate change or not, our weather patterns are changing, for the worst. Maybe not in southern Europe or in the land-locked countries but those of us living on the outer edges of Europe are taking the brunt of extreme weather that barely makes the headlines anywhere but here; I note the big fuss made of the flooding in central Europe and this organisation saying that something had to be done. The EEA barely make any comments about anyone living in other countries. Food shortages due to extreme weather have already resulted in prices of fruit, veg and dairy products going up. Cash strapped citizens can not afford the basics anymore and how is that a good thing? Whether you believe in this or not, changing our energy usage habits would result in a fairer society for all of us. P.S Irish pay some of the highest energy prices and carbon taxes on fossil fuels than the rest of Europe. One reason for France and Germany low carbon emissions is the use of nuclear energy. Also, just so people know, the EEA plan to reduce their oversight, as planned in the 7EAP, and return complaints from citizens to members states where the same may/not be addressed. The entire world would have to be on the same page to make even a modest dent in the changing of the planet at this point. And that isn’t going to happen. Is it? The change in the way nature plays its card is already far too into it’s cycle for us to dramatically change it’s path. And thinking that you can in anyway remove that cycle or alter that plan is beyond arrogance. We live in an ever evolving entity and change goes on all the time. Long before we were using up the planets resources at the rate we are presently. Nature takes care of itself. And quite aside from our carbon footprint, the population explosion is unsustainable. Yet our small brained philanthropists insist on making that situation worse. Under the guise of ‘the right thing to do.’ Save life, inoculate, feed and so on, creating exactly what the planet doesn’t need, more people. In the UK the change to our environment and wild life is dramatic. And each year, as the grain of rice on a chess board proves, the effects become increasingly sinister. 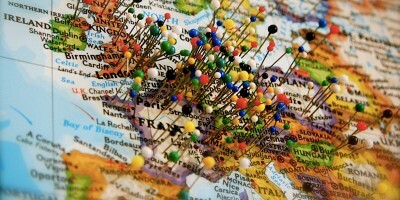 What could Europe do, or propose to do, to alter what is already in progress? 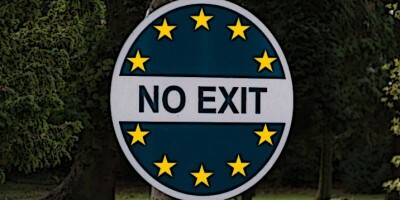 European politicians cannot do anything that will alter the course of events? The absolute most you could hope for is a slowing down of the inevitable. Some believe it is as a result of the promotion of sinful activity, others, like me, believe all things move along one way or another, nothing stands still. And this includes this planet and its content. And if you look at it from the standpoint of omnipotence, what is taking place is a cleansing. A sorting out of the good from the not so good. So, like us, the planet knows where it made its mistakes and is taking the opportunity to put itself right. Birth and death is an ever turning fact of life. I go along with this guy James Lovelock. Are you one of those “insane people” who think everyone who is Anti-EU must also be a Xenophobic Racist? It just shows that people who are opposed to democracy (and thus in favor of the EUrosoviet Union) have no arguments and must resort to insults to ‘argue’ their point. You heard all those EU-types say that ‘if only the people understood’ they would be in favor of everything EU? Well, the flaw in their plan is that explaining how the EU works (which most anti Eurosoviet people like me do) involves explaining how democracy was covertly abolished and increasing powers headed to a Soviet style Politburo headed by comrade Barroso. *Climate change denier – check. Wrong. Climate change is a natural phenomenon. That’s not a denial, that’s a reality check. However, those who say that climate change ISN’T a natural phenomenon are the real deniers. Do you deny that climate change is a natural phenomenon? Someone ran out of arguments. To be expected, I guess, from anti-democracy types. They love their anti-democratic EU so much that anyone who opposes it must be a nazi, racist, mentally ill or whatnot. Similar attitude at display here as in old East Germany and Soviet Union, where also anyone who dared to express dissent was labelled mentally ill. I bet the pro-EU crowd also dreams of the EU developing similar spying methods as the US has so they can spy on everyone here too, and maybe preventively lock up anyone who dares to question the Eurosoviet Unions existence. After all, it would be par for the course. This new format is awful. Why did you do this? It turns it from a participating debate of human beings to a strange sense of compartmentalisation. And for the record, I wish you wouldn’t have it stacked by American spelling, They are wrong and cartoonish. English should be spelled with the Oxford dictionary, not Tom and Jerry. In my opinion issues cannot be separated independently from each other. We cannot segregate the issues of climate change from fossil fuels and alternative renewable energy and from the social issues where we have huge global disparities. How do we expect underdeveloped countries to tackle climate change in the same way that developed ones can? How can we expect countries that are dominated by corrupt and dictatorial governments or rulers that opress their people do anything positive towards the environment when their only source of food are the vast dump sites that eventually release CO2 in the atmosphere? 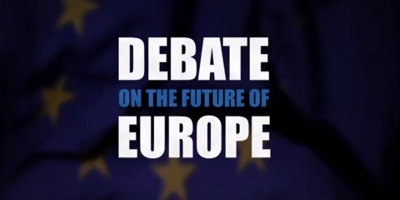 The debate goes beyond the European Union, the USA, Russia, China and others. Even the UN is nowadays percieved as weak (and should rightly be stronger than it is) because it resembles a toothless dog with a collar-chain around its neck. Climate change prevention requires a GENUINE global effort because the impact is global. 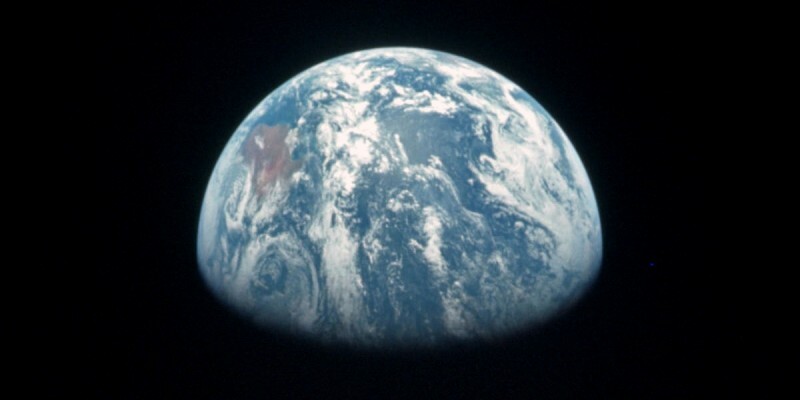 Climate-wise we defintely live in a “global village” because climate damage in the far East will have repercussions in far West, North and South. Finger pointing has to stop – it takes genuiness and self-sacrifice by all and sundry. Obviously the richer, the higher the sacrifice. “you mean to me as much as I mean to me, whoever, wherever and whenever you might be”. Only then will the world start truly addressing the environemental and climate problems that are becoming its scourge with devastating results. Through upholding altruistic values nothing is impossible. There should be a global PEOPLE Movement where each one of us does his/her small bit and it will end up a massive course of action eventually leading to scientific and technological achievements that humakind are capable of. Everyone speaks so much of R&I and the evidence is the short span within which such achievements have taken place. True, Nature will take its course and nothing will stop it, but action and reaction are equal and opposite, treat nature well and it will return the favour, treat it badly and it will hit back exponentially. Goodwill is all it takes. But we must BELIEVE it possible first. But most “reasons” given by Marcel are pretty racist snd/or xenophobic. Marcel if I would tell you my opinion on your kind I would have my comment deleted. Let’s just say you are …ignorant and leave it at that. Try and read “merchants of doubt” – a very enlightening book about climate change. I can say that I got great benefits from sustainable living, clean air, healthy food, cheerful friends, when this life intrapprendi a new world, and know that the Government has granted the European combat pollution of our terrestrial ecosystem. I think that fundamental and awareness on climate change and its origin. We help nature imbibe the damage produced by human invasive actions. We have take care of our well-being and that of future generations.